When: Saturday, April 27 and Sunday, April 28 from 10 a.m. - 2 p.m. Some argue that most of the American furniture we celebrate is overbearing, over-embellished and a monument to waste and excess. On the other hand, there are historic furniture forms that have been around for almost 1,000 years that don’t get written about much. They are simple to make. They have clean lines. And they can be shockingly modern. And you get to make one in this workshop and take it home. In this workshop, woodworker Greg Alexander will guide participants in constructing a staked stool from Christopher Schwartz’s popular Anarchist’s Design Book. Alexander will introduce students to using the hand plane, one of the most fundamental tools in hand tool woodworking, to build their own staked stool to take home. Techniques taught in this workshop include drilling, reaming holes at compound angles and wood finish application. Over two days, the class will prepare the legs and seats using hand planes, assemble and back wedge the chairs and then apply a milk paint and oil finish. This workshop is perfect for beginners interested in learning the ins-and-outs of hand tool woodworking, as well as those with some experience interested in exploring the world of chair making. Greg Alexander graduated from the University of South Carolina with dual degrees of music composition and political science. He studied guitar building, began building instruments in Columbia in 2011, and has two guitars on exhibit at the SC State Museum. He is a full-time woodworker. The workshop will begin at 10 am. 701 CCA will provide all materials for each participant. The age minimum for the workshop is sixteen. If accompanied by an adult, the age minimum is twelve. The maximum number of participants is 6. Create your lantern to carry in the Light and Lantern Parade at Artista Vista Art Night on Thursday, April 18, 8pm. Supplies will be provided or bring your own materials if you have something wilder in mind! Talented artists will be on hand to help with your creation. The workshop is free, but RSVP is required as space is limited. RSVP to Hannah Shepard at director@701cca.org or 803-319-9949. When: Saturday, February 2, 10 a.m - 1 p.m. Known as 国画guó huà or native painting, traditional Chinese painting is considered one of the oldest continuous artistic traditions in the world. 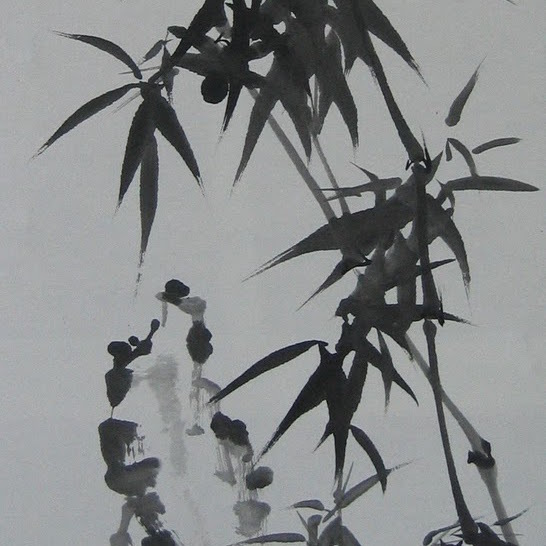 It uses "水墨Shui Mo" (water and ink), which is a freestyle technique created using a brush dipped in ink and water, and on to rice paper. This art form allows one to express their creativity, calm their mind and appreciate the beauty of art and nature. The essential principles of Tai Chi are based on the ancient Chinese philosophy of Taoism, which stresses the natural balance in all things and the need for living in spiritual and physical accord with the patterns of nature. According to this philosophy, everything is composed of two opposite, but entirely complementary, elements of yin and yang, working in a relationship which is in perpetual balance. Tai Chi consists of exercises equally balanced between yin and yang. This workshop will employ both of these disciplines to explore the interplay of movement and mark-making. An equal amount of time will be spent practicing the traditional Tai Chi form and its brushwork counterpoint. Participants will be led through a process of physical movement and traditional Chinese painting techniques to ultimately create works of art on paper using mark-making techniques. All participants will receive two Chinese Wolf Hair Calligraphy Brush Pens, Chinese Calligraphy Ink, Sumi Ink Calligraphy Rice Paper and Handmade Xuan Paper to use and take home after the workshop! Yisha Wang is an artist who received her undergraduate degree in Painting from Luxun Academy of Fine Art in 2007 and her MFA and MAT from the University of South Carolina in 2012 and 2014. She currently teaches at East Point Academy in West Columbia, SC. Yuezhong Wang is a professional photographer and entrepreneur, who has been practicing 48 different styles of Yang Shi Tai Chi since 2006. He has received multiple awards in Tai Chi competitions, including winning second place in the City Tai Chi Collective Award. Wang has been teaching and training his employees on this meditative practice since 2007. Interested in teaching a workshop at 701 CCA? Your 701 CCA Family membership entitles you to Workshop discounts and other benefits. Join today!